John Weetenkamp, General Manager of JENSEN Tools + Supply stated that the company has collaborated with Botron, Eva, DESCO and Chapman to create the PINK range. Expressing his feelings regarding the whole campaign, Weetenkamp said, "It is not the first time JENSEN has stepped up for a cause. We have great regard for wellness and wellbeing, and being a responsible company, we consider it an honorable duty to play our role in supporting such an important cause. Despite being curable, breast cancer is highly prevalent and all of us must come together to support those who are in a fight with this terrible disease." It is not the first time JENSEN Tools + Supply is showing support for the victims of breast cancer, the company has been a regular supporter of the cause with similar campaigns in past years. The PINK products this year will include a variety of best-selling products, largely related to women’s health and safety, such as Botron Pink Adjustable Wrist Straps, PIP Pink, Eva® Women Safety Glasses, Desco 74000 Series Statshield® Static Dissipative Jacket, Chapman Go Pink 27-pc. Standard/Metric Ratchet Set to name a few. JENSEN Tools + Supply offers a wide range of products and solutions for electronics manufacture, field service, and repair professionals. 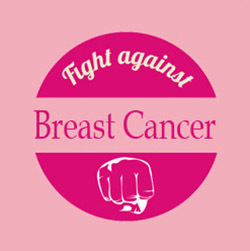 Visit JENSEN Tools + Supply’s "PINK Products" and for additional details on joining in the fight in support of the cause. Please visit JENSEN’s Web site at www.JensenTools.com.